The Creeping Shadow is the fourth installment in the Lockwood & Co. series. In the previous book (The Hollow Boy), we left Lucy deciding to leave Lockwood’s agency to protect her friends, so in this novel we follow Lucy as a freelance operator, at least until Penelope Fittes asks for her to help Lockwood & Co in a particular case. 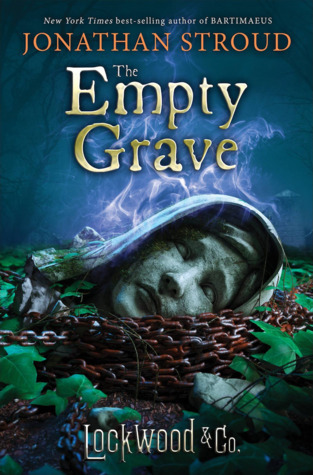 In the meanwhile Lucy discovers that some ghost sources are sold in an auction instead of being destroyed, and she soon finds her life at risk, ending up asking Lockwood for help. 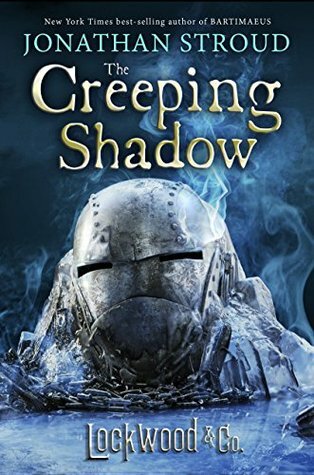 The whole group begins investigating the creeping shadow, a mysterious gigantic ghost appearing in a town far from London, but very near to a branch of the Rotwell’s agency. The novel is as always nice and engaging, however it’s a bit disappointing with respect to the preceding one that was much more emotional. The big twist here it’s at the very end, and only in further novels we will see how this news turns out for the Lockwood & co. team. 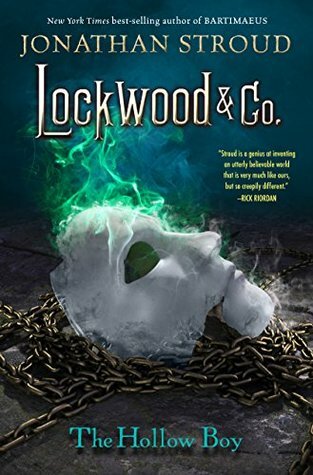 The Hollow boy is the third book of the Lockwood & Co. series (The other two are: The Screaming Staircase and The Whispering Skull). Lucy, the narrating voice, Lockwood and George are still working as an agency to catch the spirits haunting London, and they sill want to be involved in some major case, in order also to promote better their agency. The numerous – small – works force them to work separately, and from this derives the decision to hire an assistant to help them in sorting out their activities: Holly Murno, who is however not liked by Lucy, also due to their character differences. Lucy is more than ever the main character of the novel, and, her being the narrating voice, we see her bein uncertain, torn between wanting to test her listening skill and restraining to avoid unnecessary risks. She always doubts her role in the agency, also because she is jealous of Holly, who seems to her as perfect and insufferable. In the series The Hollow boy is the most well-built novel, or the one I liked more, thanks also the availability of two novels before to set out world and characters build; here we face more delicate aspects of the characters (Lockwood and her sister death, Lucy and her uncertainties). The novel ends with a shocking event, and so I’m already waiting for the fourth book to come out. L’amuleto di Samarcanda è il primo libro della trilogia di Bartimaeus scritta da Jonathan Stroud (di cui ho già letto un paio di romanzi della serie Lockwood & Co.: The screaming staircase e The whispering skull). The Amulet of Samarkand is the first novel of the Bartimaeus Trilogy, written by Jonathan Stroud (author of the Lockwood & Co series: The screaming staircase e The whispering skull). Those words, though heaven only knew how often she had heard them, still gave her a thrill. They braced her like a tonic. Life acquired significance. She was about to step from the world of make-believe into the world of reality. 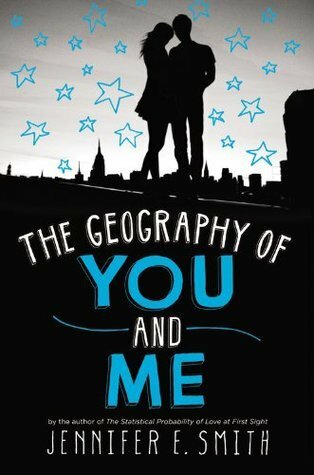 When I made a request for this ARC I expected a cheesy YA, instead it resulted better than this: despite the centre of the novel is the meeting of Lucy and Owen, the two main characters, and the beginning of their relationship, the novel focuses also on other themes that determine the characters behaviour. Lucy would like to have a stronger relation with their parents, always busy travelling without her, while Owen travels with his father trying to forget the recent death of her mother. Lucy and Owen meet in New York during a general blackout but soon they have both to leave New York: Lucy for England due to her father new work, and Owen for a long travel without specific destination, direction California. That single night was enough to create a bond and a passion for postcards, useful to fill the geographic gab between them. It’s a nice novel with main normal characters and normal parents, overall well-built and less cheesy than its cover. In The Screaming Staircase we met the three main characters of this series of novels: Lucy, the narrating voice and unique POV, Lockwood and George, three agents able to deal the issue of ghost apparition. In this second novel they will carry on an investigation in parallel to some Fittes agents in order to find which group of agent is the best on, the small Lockwood & Co. or the bigger and more organized Fittes; the investigation has the aim to find a mirror stolen during the recovery of the coffin of Edmund Bickerstaff, a mysterious evil man who was interested in making contact with dead people. 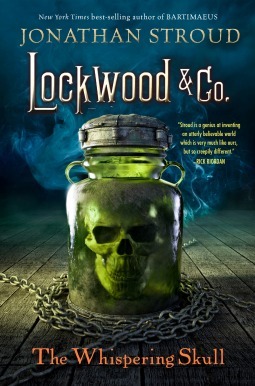 While searching for the mirror Lucy will have the chance to meet old Lockwood friends and to test again her skill to communicate with the skull preserved in a jar within the Lockwood agency, a mostly unique talent that will provide some useful information. Here the plot is more linear with respect to the previous one, nevertheless the story is engaging and well-built; it is introduced the theme of relic theft and market, a new element that composes the worldbuild of this alternative England subjected to ghost apparition.